Rosa Talks About Her Newest Book Release on YouTube! Rosa Pryor-Trusty a.k.a. "Ramblin' Rose" is an entertainment columnist in Baltimore, Maryland. 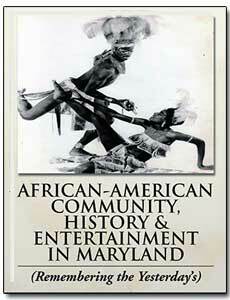 She is also now an author having penned two books based on the rich history of Baltimore's entertainment community. Here Rosa gives us a brief description of her latest publication. I hoped that you enjoyed looking at the photos and reading the information that I have put together in these fourteen Chapters coffee-table book which included stories, background of: beaches, movie theaters, parks; about you, your families, friends, neighborhoods and the your communities in Baltimore and the surrounding counties of Maryland. I try to help you to remember the bars, clubs, restaurants, skating rinks, bowling alleys, popular undertakers and funeral homes, organizations, number writers, number backers, hustlers, gangsters, politicians, local and national entertainers, bail bondsmen, radio, TV personalities and newspapers reporters, all from the era of 1940-1980's. 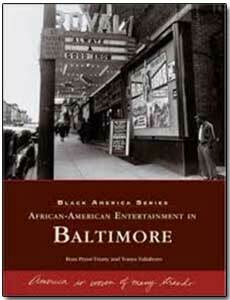 African-American Entertainment in Baltimore captures the brilliance of the city's musical heritage from 1930 to 1980. This educational and entertaining volume invites readers to take a visual trip down memory lane to the days when Pennsylvania Avenue, the heart of the city's African-American community, vibrated with life. Celebrated within these pages are entertainers such as The Ink Spots, Sonny Til & the Orioles, Illinois Jacquet, Cab Calloway, Lionel Hampton, Sammy Davis Jr., Slappy White, Pearl Bailey, Billie Holiday, and Ella Fitzgerald; The Avenue's hottest nightspots and theaters including the legendary Royal Theater, The Regent Theater, the Sphinx, and Club Casino; and the DJs and promoters who helped cultivate the city's musical talents. 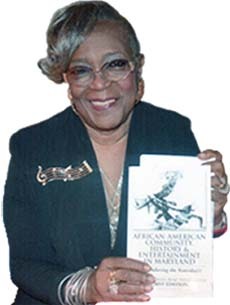 Rosa writes online columns for "The Afro-American Newspapers" and the "Baltimore Times" newspaper. She has over 350,000 readers and says some of her readers have provided a lot of the photos and other material for her books. She welcomes you to join her as she keeps her audience updated with information on the latest entertainment events going on around town. 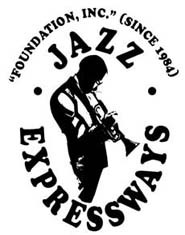 Rosa is a board member of Jazz Expressways Foundation, Inc.
Their goal is to give junior high and high school children who are gifted in singing or playing an instrument in music to support and further their career in music financially. The organization aspires to give at least one child a scholarship every year. Funds are raised by giving a Jazz Breakfast Show every 3 months and a Jazz Festival Bus Trip once a year.